It’s the first poem I ever published. I glowed when it came out in Seneca Review, mere pages from work by James Tate, whose Selected Poems—a book I loved—had won the Pulitzer. A senior English Ed major at Roberts Wesleyan College, I’d been stocking shelves at the Towne Plaza IGA the day my contributor’s copy arrived. The publication affirmed me, seemed a sign of better things to come, perhaps even a future built on literature. I had entered the “Great Conversation” of literature. What I’ve been thinking about lately is not when I entered the conversation, but how. When I introduce “The New Literacy,” I mention that the title refers to a new kind of seeing, going back to my beginnings as a poet. The poem is filled with images that obsessed me, specific details from the time and place where I grew up. When I began to think of myself as a poet, I realized that I was seeing the world around me differently, “reading” it as one simultaneously experiencing it and transforming it into art. So if the first literacy was learning to read as a child, then the second, or new, literacy was, for me, learning to see the world through the eyes of the artist. That’s the poem’s contribution, its humble way of entering the conversation. Or so I had always thought. I can still see those tinseled trees. When we were growing up in New York’s Mohawk River Valley, my brother Billy and I played baseball all summer. 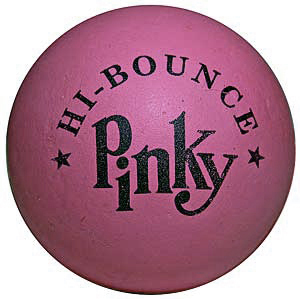 We used a whiffle bat and a pink rubber ball known as a Spaldeen or Pinky. The ball had a lot of bounce in it, testing the limits of the hollow yellow plastic bat, which often required fortification via duct tape. If you hit the ball clear over the hill, it was, of course, a home run. And since we never had more than one or two rubber balls at a time, it was the fielder’s job to climb the hill and search for the homerun ball while the batter trotted the base paths, celebrated, and notched his requisite markings in the scorebook. Just over the hill and in the ravine sat a pile of our old Christmas trees. When the holidays were finished, we’d un-decorate the tree, and that’s where we’d toss it. Our baseballs had a way of rolling and bouncing along through the old Christmas trees and finally settling into crannies that made them difficult to retrieve. We’d almost always get the ball back, but it took some elaborate maneuvering. Picking through the piney boughs, it wasn’t uncommon to see a stray strand of tinsel faded by the elements but retaining some original silver sheen. After all, it was tough to remove every last piece during the sad job of packing things up after Christmas. Each time I spotted a silver tinsel strand in the sweaty heat of July, it immediately took me back to a different season, a different world: deep cold, enormous bluffs, sledding, colored lights, and coveted Christmas presents—including baseball cards. I felt amazed at the confluence of winter and summer, cold death and verdant life. It amazes me still. It calls to mind—apropos of the Christmas season—the great paradoxes of faith. Christ whose birth we celebrate is both wholly God and wholly man; wholly Other and wholly us; his “yoke is easy and [his] burden is light," yet to follow him means to take up a cross—because in order to live, we must, in fact, die. Part of taking up that cross, I think, is to grow a space inside where we can hold the difficult personal paradoxes together. For example, I know that in order to save my life, I must lose it; and in order to be first, I must be last. These are hard sayings that require fundamental shifts. For Jung, holding “the tension of opposites” within one’s self was a key to peace, to the wholeness of the individual and by extension the community and the world. The stakes of paradox are high, and yet the ideas are abstract, hard to get ahold of. Perhaps this is why Andrew Rumsey speaks of the Christian theologian and the poet as needing one another. He says that if the theologian is “to get to grips with the slippery shape of the incarnation, he must employ a medium which excels in the small glories of particularity,” namely poetry. The baseball hiding beneath the old Christmas tree, a strand of tinsel flickering in the summer breeze. The God-man who entered human history in a particular place and particular time and yet was present at the creation and will rule for all eternity. In the end, the tensions of poetry, the paradoxes we find in the vivid and specific details are our lives, are nothing short of messy, beautiful incarnation, pointing the way toward peace and wholeness. Daniel Bowman Jr. is the author A Plum Tree in Leatherstocking Country (VAC Poetry, 2012) and Beggars in Heaven: A Novel (Relief Books, fall 2014). A native of the Mohawk Valley in upstate New York, he lives with his wife, Bethany, and their two children in Hartford City, Indiana. He is Assistant Professor of English at Taylor University. Find him on Twitter: @danielbowmanjr. Begbie, Jeremy, ed. (2000) Beholding the Glory: Incarnation through the Arts. Grand Rapids: Baker. Bowman Jr., Daniel. (2012) A Plum Tree in Leatherstocking Country. Chicago: Virtual Artists Collective. Mehrtens, Sue. (2013) Jung’s Challenge to Us: “Holding the Tension of Opposites”. Jungian Center for the Spiritual Sciences. http://jungiancenter.org. Retrieved 3-1-14. Matthew 11:30, New International Version.